It was for sure a food-centric birthday. Not only did I get some new books to cook from, I also got this AMAZING new chopping block, courtesy of my royal taste tester. 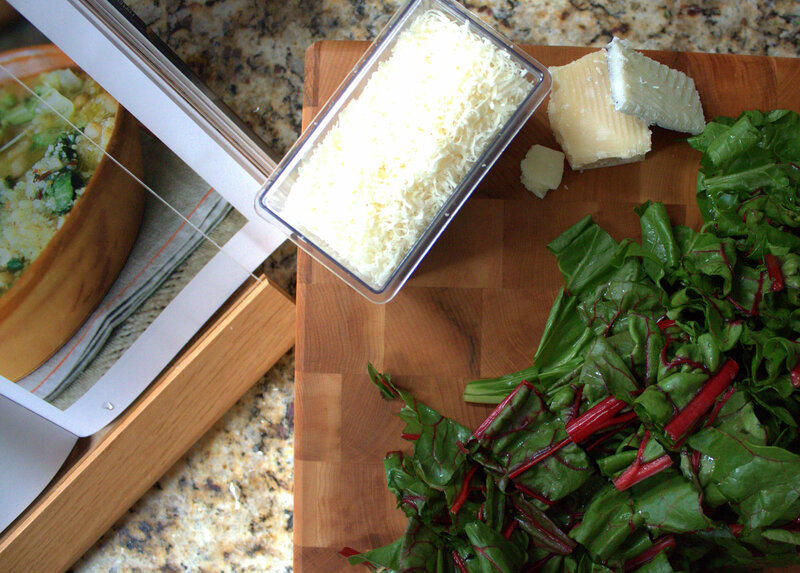 I’ve never owned a chopping block/cutting board like this. It’s about 30 pounds so dragging it around is a workout, but chopping on it feels divine. Oh yes, this too is available on Amazon.com. TGF Prime shipping. So, let’s do a little prep work. 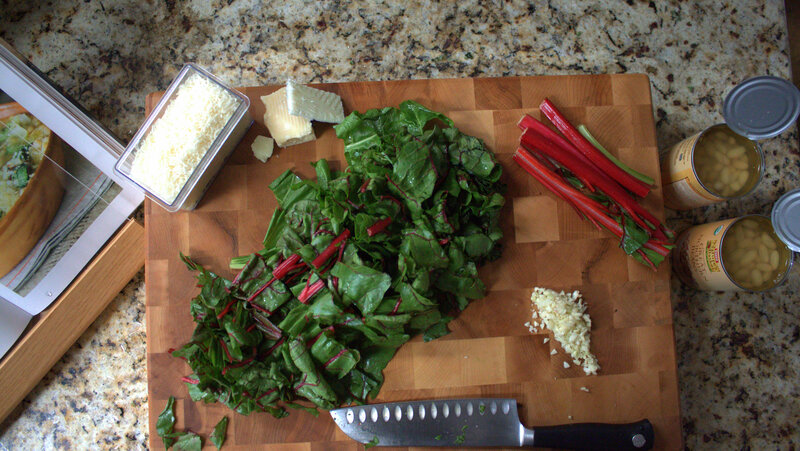 Ina’s recipe calls for escarole. I couldn’t find escarole… apparently I’m looking at the wrong time of year. 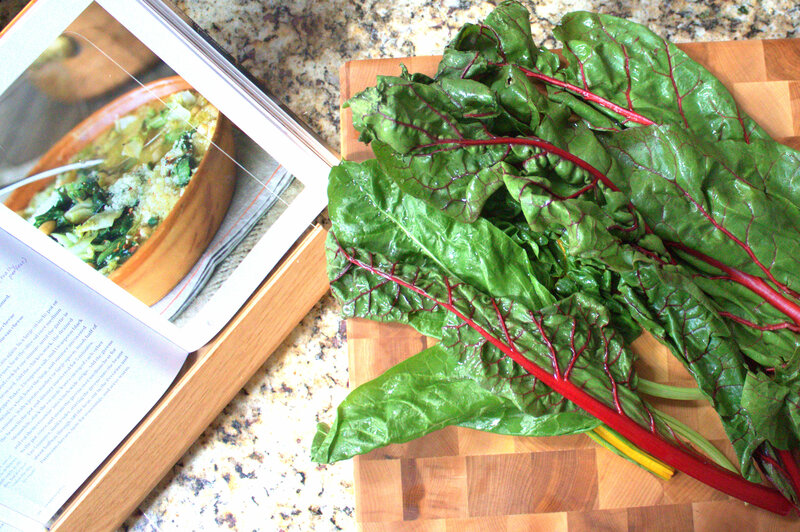 I subbed in some pretty rainbow chard instead and chopped it into long strips. 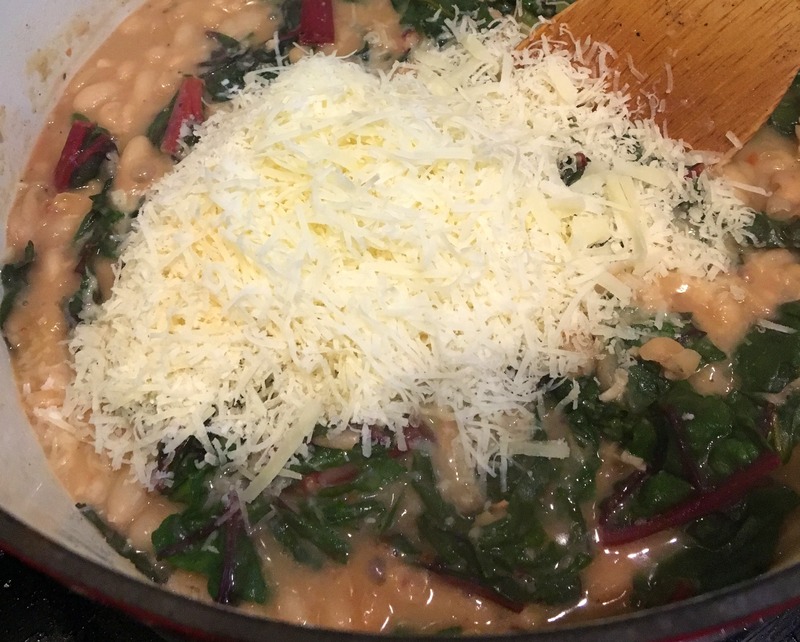 Then I chopped up some garlic, shredded some Parmesan and Pecorino Romano cheese, and opened up a couple cans of cannellini beans. A little prep work goes a long way. Just getting these few little details complete before starting to cook makes the whole dish come together lightning fast. And I like lightning fast because I always want to eat RIGHT NOW. That said, let’s start cooking. 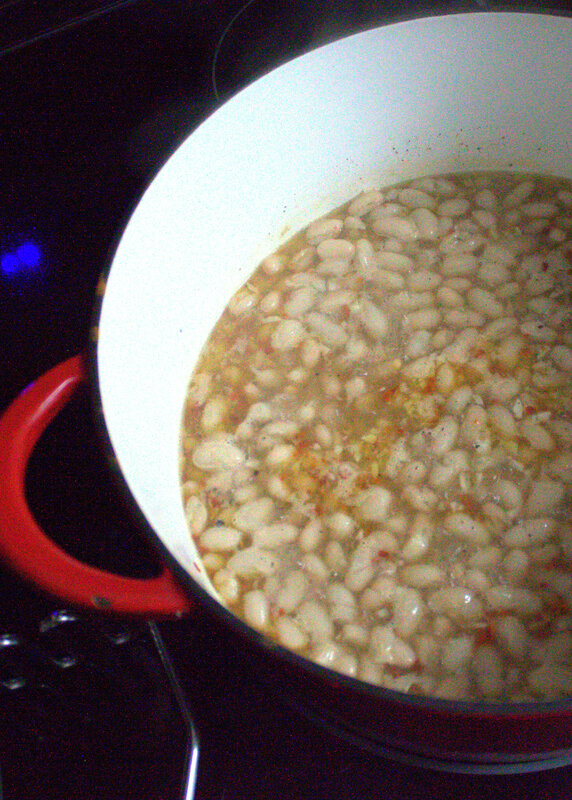 Heat up a little olive oil in a Dutch oven and start to saute the garlic just for a minute or so. 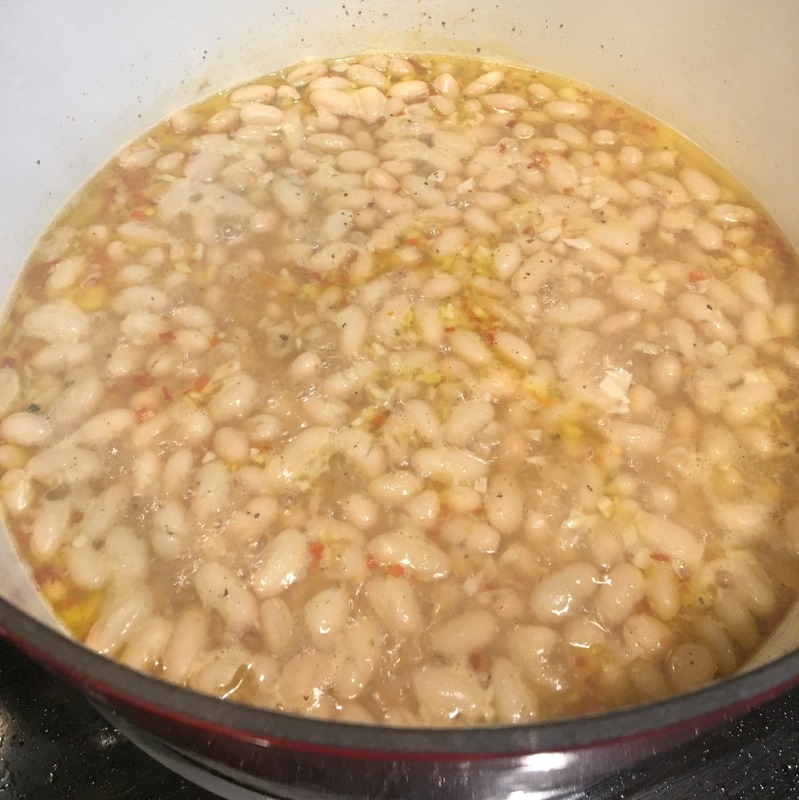 Then go ahead and toss in both cans of beans (drained/rinsed), some red pepper flakes (to your liking – I used 1 tsp), and a good cup and a half of chicken broth and/or white wine. Season it up with salt and pepper. Ina’s recipe recommends a couple teaspoons of salt, but my royal taste tester and his delicate palate found it a bit too salty, so the second time we made this we cut it in half, and he was appeased. Now, go ahead and mash those beans a little bit with your potato masher then keep simmering them for 5 more minutes or so. Beautiful! We’re ready to add the greens! 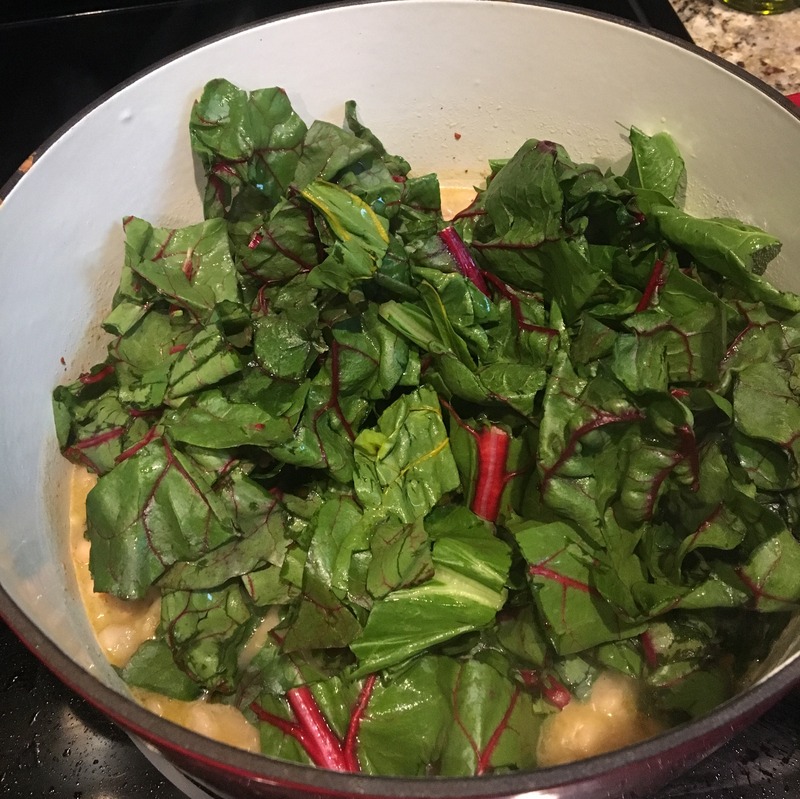 Cover up the pot and let the greens steam for about 3-5 minutes. Yummmm. I love how easy it is to wilt greens. 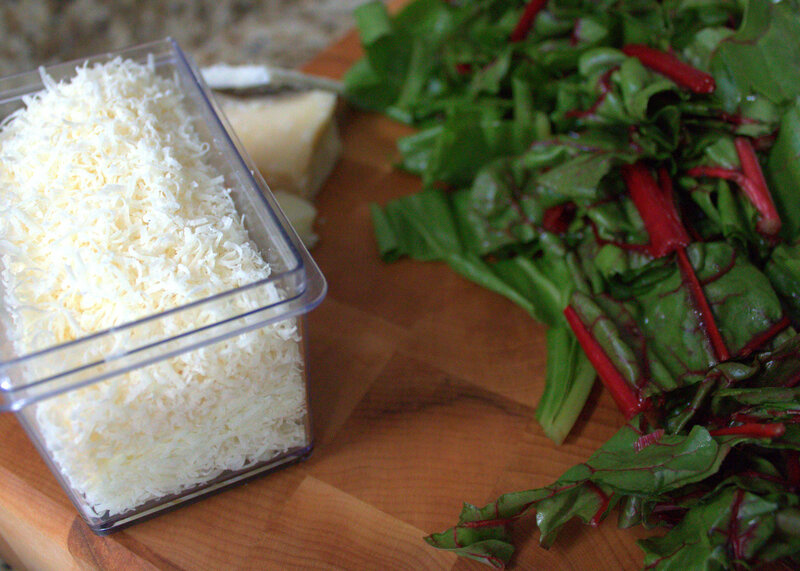 Now remove it from the heat and stir in that cheese! Mmmm… Oh my gosh, it was so creamy, salty, and delicious. I’d classify this as comfort food! I had some leftover rosemary bread that I sliced into big thick slices and toasted up to eat with my beans and greens. Yes. Do that. 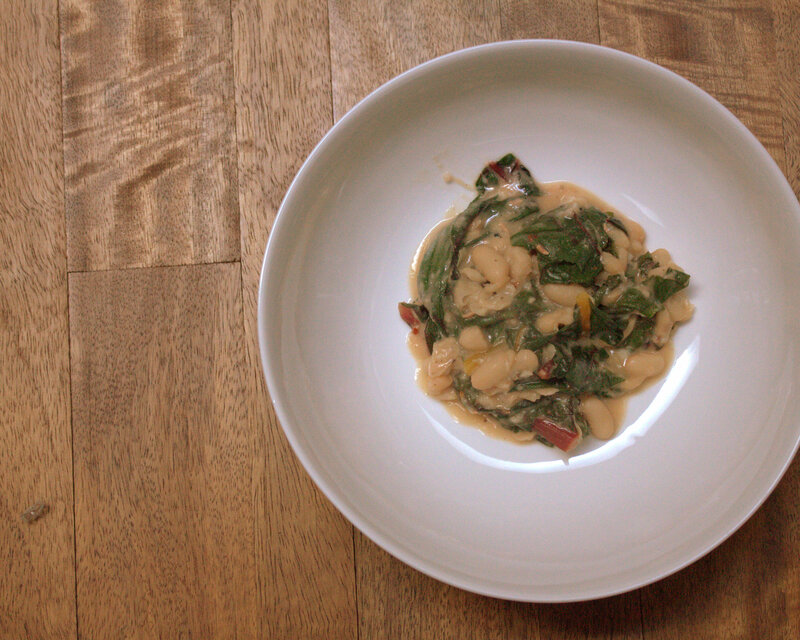 I love Ina so much, and I’d be devastated if she sued me for copyright infringement, so I’m not posting her full recipe, and sadly I can’t link to it because it isn’t yet available on the Food Network website. However! Don’t despair. Get the book! Or borrow it from the library! It’s Ina’s tribute to her own royal taste tester. And I think we can all agree that we’d like to have a taste tester as enthusiastic and supportive as Jeffrey, so he probably deserves it! 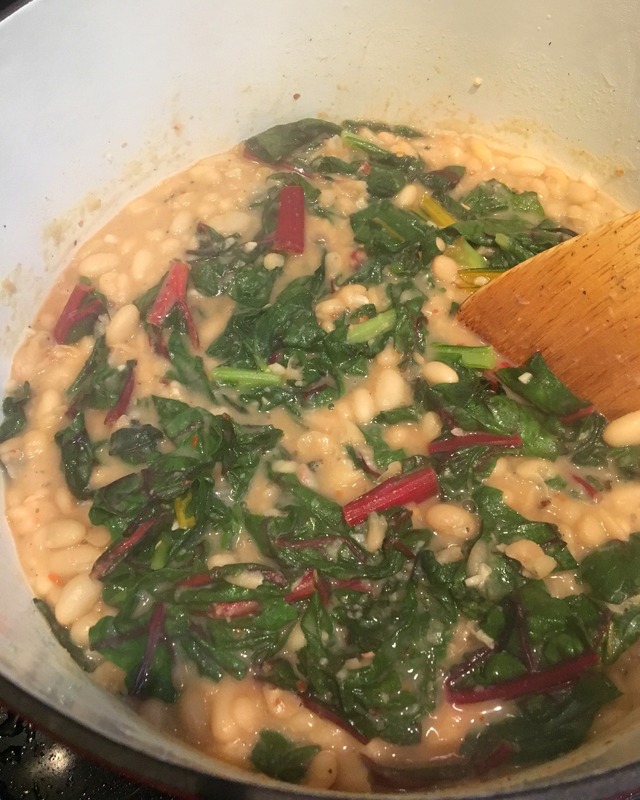 Oooh my gosh, it was SOO yummy – I can send you the recipe if you want!